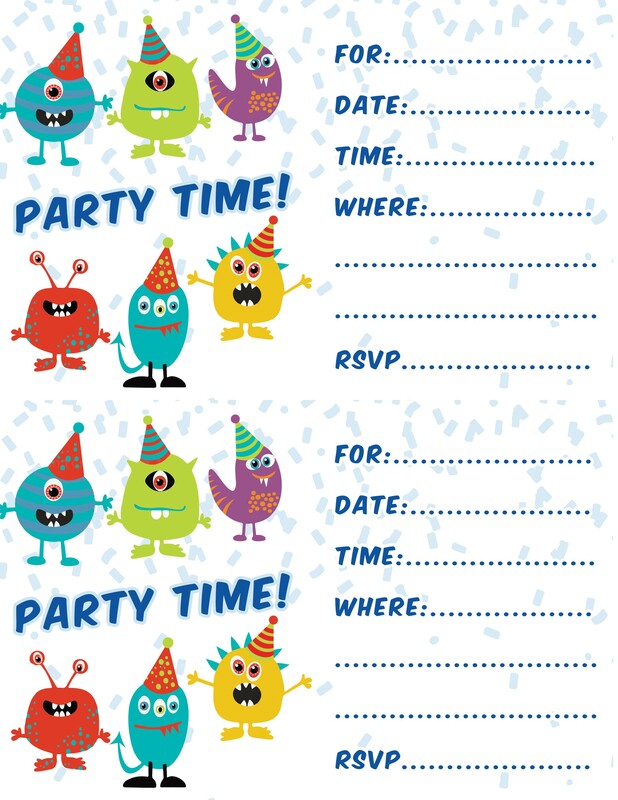 Check out our free party invitations below! There are 2 images — Front of the page and Back of the page. 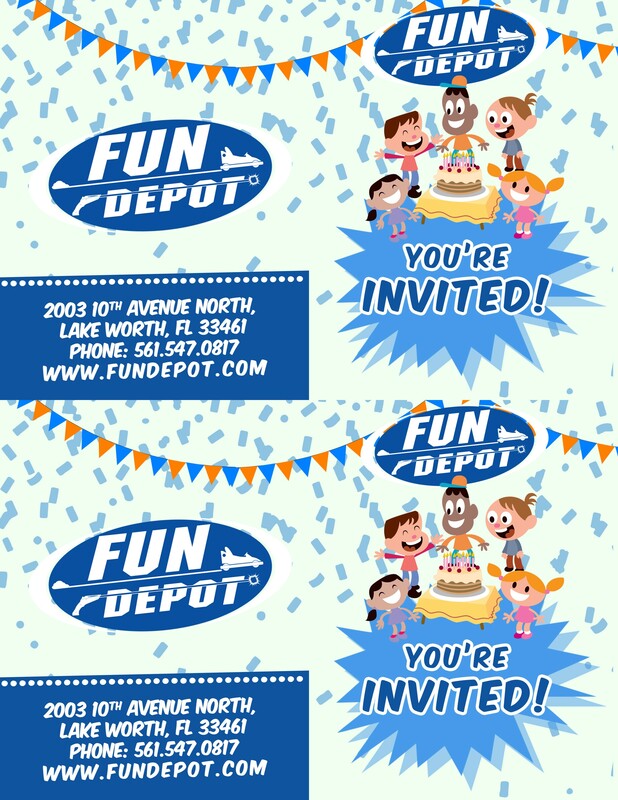 These print 2 invitations per page. Right click on each picture to save to your computer, then you can print, cut, and mail!